5th inst, at South Shoebury, the wife of G Vanderzee, Esq, of a son and heir. Chelmsford Chronicle Friday, 14 February 1851. Baptism South Shoebury ESS, 310, 9 Mar 1851 George Yorke s George Vanderzee Esq., & Eliza Ann Wood Vanderzee of South Shoebury. Annotation "Privately christened Oct 9 1852"
George Yorke is recorded in the List of Carthusians as a pupil of Charterhouse School Godalming SRY: "1863 b1751"
George Yorke Vanderzee to a clerkship in the Exchequer and Audit Office. Ref: Pall Mall Gazette 29 October 1869. Civil Service Law or Department. G. Y Vanderzee to be senior examiner, Inland Revenue. The Times April 24, 1875 page 11 col F.
Vanderzee York George. 7 Oxford & Cambridge Mansions Marylebone Rd NW. Exchequer & Audit Dept. Examining Branch.
. . . . . George Yorke Vanderzee . . . . .
Post Office London Directory (Official) 1882. Sir John Gorst, the vice president of the Council, yesterday attended at the dedication of the completion of the National Schools of St Stephen, Paddington, by the Bishop of London. The ceremony of yesterday was presided over by the Vicar . . . . . Those present including the Bishop of London, Sir J Gorst, MP, Sir H Bardett, Col Huntly, the Rev W M Groggs, Mr G Y Vanderzee, and Mr E C Harris and Mr F St R Hackett Smith the churchwardens. There was a crowded attendance, after the service of dedication was over. . . . Morning Post Friday, 18 November 1898. Vanderzee George Y Exchequer & Audit Dept. Directing Branch. Vanderzee George. 31 Westbourne Park Rd. W.
Court Directory 1902, Vanderzee Geo York, 17 Kildare gds, W.
1941 Death: March quarter, Kensington 1a 187 - VANDERZEE George Y, 90. Vanderzee George Yorke of 12 Penbridge Villas Kensington London died 29 January 1941 Probate Llandudno 27 March to Evelyn Geordie Vanderzee spinster and Henry Charles Barrow Wilson Solicitor. Effect's L4084 1s 7d. 4. Census: England, 3 Apr 1881, 31 Westborne Park Rd London MDX. 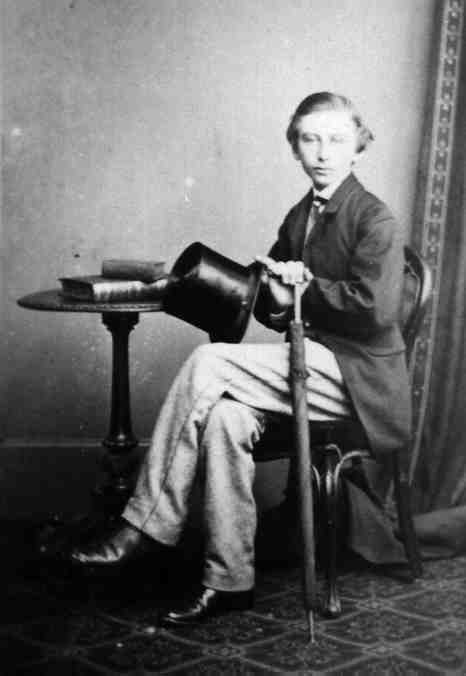 George is recorded as born abt 1851 St Shoebury ESS son occupation Clerk Somerset House. 7. Census: England, 2 Apr 1911, 31 Westborne Park Rd London MDX. George is recorded as head of a house of 10 rooms aged 60 married for 30 yrs a Principle Clerk at the Exchequer & Audit Office Victoria Embankment, born South Shoebury ESS. There are two servants in the house.